"I know what you’re thinking. 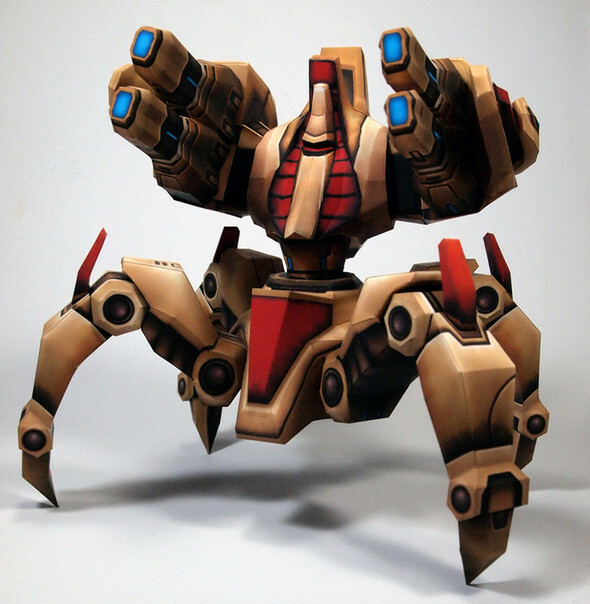 Oh it’s a 3D model of an Immortal from Starcraft II. So what? IT’S FREAKING PAPER. I’ve seen and featured some amazing papercraft on our site here before, but nothing that compares to this. All of these figures look completely computer generated, but I promise they’re not. They’re fashioned entirely out of paper by a talented Korean named Constable, and it’s amazing to me that something this detailed is possible with those sorts of materials. If you don’t know the game, trust me when I say these are perfect 1:1 recreations of the in-game models, something that would be tough to do with a computer, much less paper. He’s done a number of different units from Marauders to Siege Tanks to Battlecruisers to Banshees, and you should hit the jump and check them all out." check out the source for more!